It may come as a surprise, but small businesses within the electronic security and life safety industry have been thriving in the last five years. A primary reason for this industry boom is advances in technology. Innovations are continuing to redefine the industry, leading to modernizations that are securing both the residential and business marketplaces with the creations of smart homes, smart buildings and now smart cities. And this technology-driven industry is creating more opportunities every day as the established market works side-by-side with startups, focusing on new aspects of the industry such as artificial intelligence and Internet of Things (IoT) adoption. This shifting tide toward innovation is making the security and life safety industry one of America’s best fields to work in across the board. “This shift is expanding opportunities and creating new job roles. What was once viewed as a very traditional industry has evolved into an entrepreneurial, collaborative environment,” says Robert Few, committee chair of the Electronic Security Association’s (ESA) Rising Leaders Group and co-founder and managing partner of The Connection Xchange. This increasing growth potential is due, in part, to the industry’s ability to be on the cutting edge in many different areas, making career and start-up options nearly endless. For example, in addition to engineering, programming, and installation, there are opportunities in sales, marketing, communications, administration, technical support, accounting, human resources and customer care. But the impact the security industry has on the small business sector or when it comes to construction site security doesn’t end with job creation and entrepreneurial opportunities. Approximately 30-50 percent of all commercial building space, which is estimated to be 20-34 billion square feet, is occupied by small businesses. For business owners operating in this staggering amount of space, ensuring their business is secured with the right technology from an ESA member is a priority. That’s why ESA has gathered tips from a few of its members around the country to help small businesses and small business owners make an informed, smart decision when selecting a security provider. Look for options that are easy-to-use and within your budget. “Thinking as a small business owner and not a security professional, when we were starting our business, I wanted easy. I wanted to be able to have information sent to me on my cell phone, so I could keep an eye on our business and stay in touch when I was out of the office. I wanted to be able to access an audit trail of when the office opened and closed throughout that week,” says Lucas Ingala, Owner of Watchmen Security Services in Lees Summit, Mo. 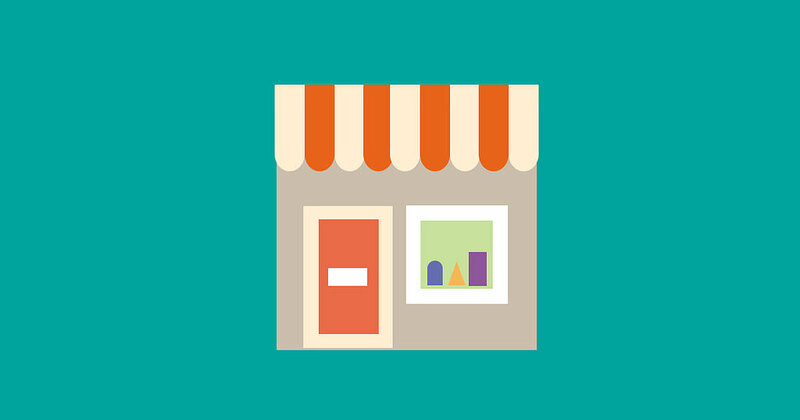 “Small businesses need security technology that is easy to use and easy to access. A security system should serve you, so you can run your business. You should think through what you need, how much money you want to spend and your expectations for that amount of money. Small businesses need to save money any way possible to remain open, whether that’s by cutting back on resources or even using a business electricity comparison site to see if there’s a cheaper price. This means that if your small business is going to be spending money on a system, you should really drill down on how you are going to be using the system every day. Make sure the system you purchase will meet your expectations,” says Ingala. Ask about detection, surveillance and control. “A business owner should consider three primary components before purchasing a system: intrusion detection; video surveillance; and access control. The pricing is coming to a point where the overall budget for the scope of security isn’t outrageous,” says Jamie Vos, General Manager of Security Solutions in Bellingham, Wash.
“The intrusion system is extremely important. You want that barrier protection when you’re not there. Video surveillance is continuing to come down in price, so you can get a great professional system installed for a reasonable price. “The component a lot of businesses don’t really pay attention to, but should, is access control. There is no longer a need to re-key locks when there is employee turnover. You can simply delete that employee from the access system and add a new one. This is more economical and efficient,” says Vos. Ask what similar small businesses are using. “If I were the small business owner, I would ask, ‘What types of security technologies are businesses like mine using? How are they using them? What are the drawbacks and what are the benefits?’ This can be a great starting point for determining the right solution to allows small businesses and small business owners to better manage operations and to better manage the safety and security of the people in their business,” says Joe Mitton, Director of Marketing & Communications for Select Security in Lancaster, Penn. For more information about security solutions for small businesses, visit Alarm.org. If you are considering purchasing or upgrading your security system, always ask if a company is a member of the Electronic Security Association (ESA) and if its employees are trained by ESA’s National Training School (NTS). ESA member companies whose security professionals are certified through NTS have completed extensive training in electronic security and adhere to a strict Code of Ethics and Standards of Conduct. For those looking to start a career in the security and life safety industry, visit GetIntoSecurity.com.